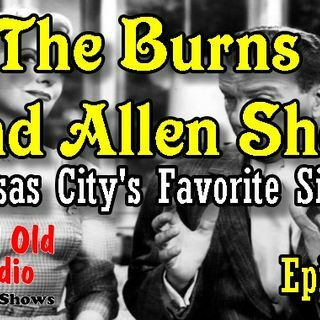 Today we feature The Burns And Allen Show: Kansas Citys Favorite Singer. comedy team that entertained vaudeville, film, ... See More radio, and television audiences for over forty years. The duo met in 1922 and married in 1926. Burns was the straight man and Allen was a silly, addle-headed woman. radio shows cancellation, Burns and Allen reemerged on television with a popular situation comedy, which ran from 1950 to 1958. Primetime Emmy Award nominations and produced what TV Guide ranked No. 56 on its 1997 list of the 100 greatest episodes of all time.